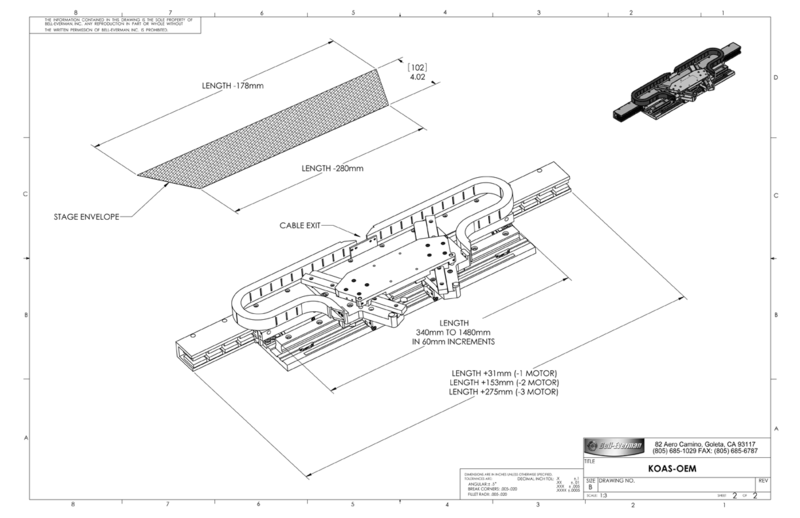 Based on cog-free linear motors, KAOS two-axis positioning stages combine a differential-motion carriage and a primary carriage on a single rail. 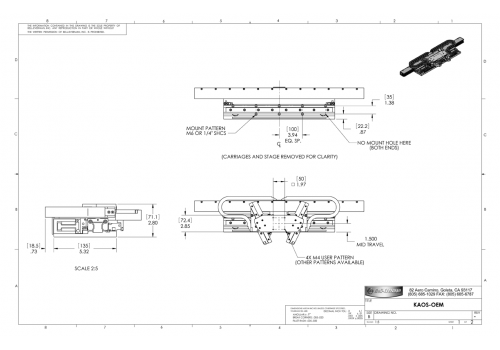 This patented design results in a fast, compact stage well suited to semiconductor, electronics assembly and pick-and-place applications. Lowest Moving Mass. 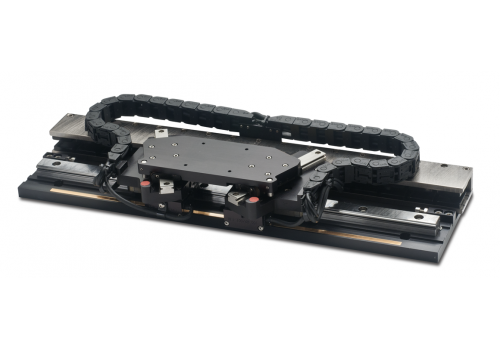 Compared to a conventional stacked linear motor positioning stage, KAOS has only about one-tenth the moving mass, balancing linear motor size and acceleration. Slim Profile. 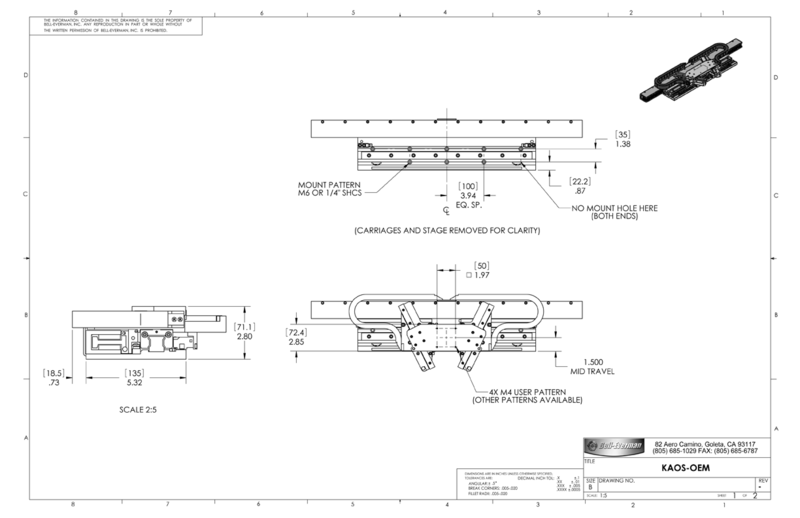 The shared-rail design results in a low-profile package. From top to bottom, KAOS measures less than half the height of a conventional stacked stage, enabling easy integration. Enhanced Stiffness. The low-profile mechancial design improves coupling between the payload and the linear bearings, increasing stiffness and reducing settling times. Speed And Precision. KAOS offers speeds in excess of 4 m/s and accelerations in excess of 4 g. Accuracy is ± 9 µm/meter. Bidirectional repeatability is ± 2 counts of the KAOS’ direct reading encoders. Easy To Integrate. All utilities terminate in quick connects at the long axis midpoint. KAOS has integrated energy chains with room for extra utilities. Optical limits, carriage sensor and hard stops are all built in. Built To Last. KAOS features anodized aluminum construction with stainless steel hardware. All bearings are lubed for life. Angular deviation (arc-sec)Yaw angle maximum in the plane of the linear bearings. Most chassis are flexible enough that this is generally the achievable number when the unit is straightened on user surface. Uni-directional repeatability (µm)If deceleration and payload are kept constant.